I love the way food helps connect to the roots and the tradition. The word ‘Gosht’ transliterates to meat in Persian. 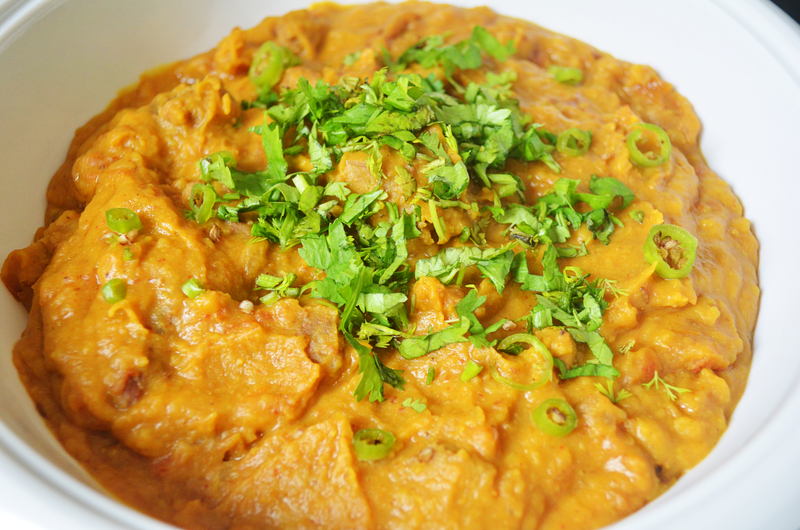 Dal Gosht which means, mutton or meat cooked in lentils, finds its roots in Lahori cuisine. This royally delicious but noble dish is a meal made in heaven. 1. Pressure cook the toor dal and keep aside. 2. Heat the ghee in a deep pan. Add oil (optional). Ghee has high boiling point and can withstand high heat. So doesn’t burn easily. I prefer adding a tsp of oil for balance. 3. When hot, add the cumin seeds. Fry till they release aroma, but don’t let them burn. 4. Add the onions and fry till they are soft and translucent. 5. Now add ginger and garlic pastes and fry for a minute. 6. Add all the spice powders – coriander, cumin, turmeric, red chilli and garam masala powder and fry till the oil separates from the masala. Stir so that the masala doesn’t burn. 7. Add tomatoes and fry till soft. Leave the lid on for 2-3 minutes, so they soften fast and also the masala doesn’t burn. 8. Smoosh the mixture a bit, so that the onions and tomatoes mix well, leaving no chunks. 9. Now add the lamb, salt to taste and stir well. Fry till browned. 10. Now add the cooked toor dal and mix. 11. Add water as per the consistency you desire. 12. Leave the lid on and let it simmer on medium heat till the meat is cooked and tender. 13. Add lime juice and garnish with chopped corriander while plating. I always drizzle a little more ghee while garnishing.